The set includes the F603 weight bench. Save another 100 EUR with this promotional set. Train as you like with the Bodycraft HFT incl. weight bench F603. Cable control modules offer a perfect range of exercises. They can be individually adjusted and the course of exercises is not preset. In contrast to classic multi-gyms, the exercises is not guided. Different to classic multi-gyms, the course of exercise is not guided. 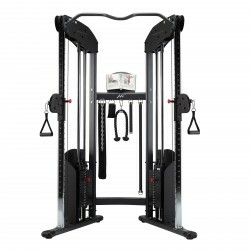 Thus the training with the Bodycraft Home Functional Trainer gets functional: You traing muscles and movements. 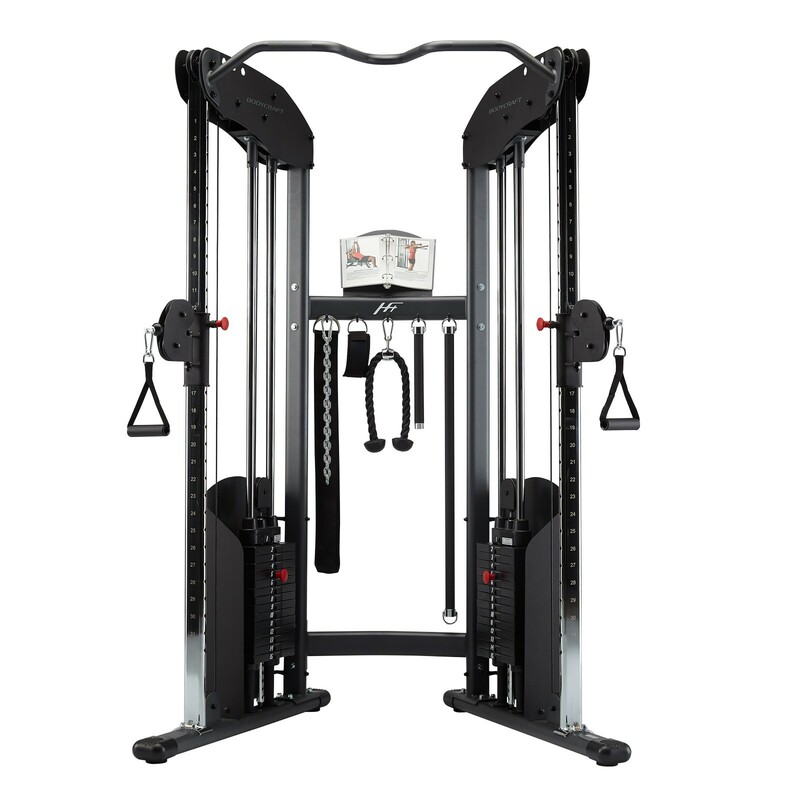 Both cable controls of the HFT multi-gym of Bodycraft can be used independently of each other. Each pulley can be adjusted in height in 31 levels. The pulleys of the cable controls are swiveling at 180°. Thus, the training is more varied. You can train from every position and train even more muscles effectively. The Bodycraft HFT incl. weight bench F603 is of first-class workmanship. The pull cables are very loadable and run on very big pulleys making the movement smoother. The ball bearings are sealed, so that neither humidity nor dirt can enter. A constant concentric run is guaranteed. Delivery of the Bodycraft HFT incl. weight bench F603 includes wide-range accessory, of it many different strength grips or chains, to put on additional weights in case the exercises on the chin-up bar get too easy for you. Bodycraft HFT incl. weight bench F603 add to comparison list.